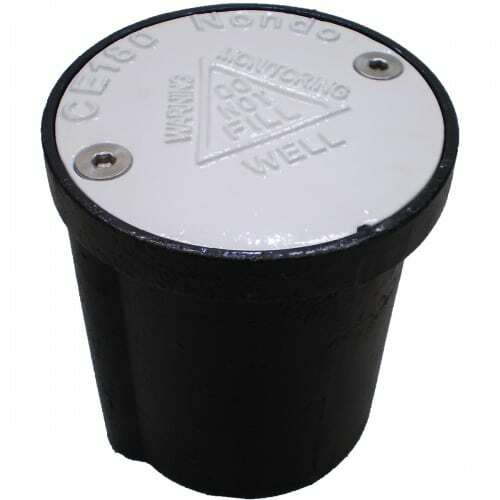 The CE180 Nondo well cover is made from all SG (spheroidal graphite) cast iron and and is suitable for 50mm monitoring wells. It has been load tested by an independent laboratory to Australian Standard AS3996 Class D & Class E. The traditional looking 2-bolt design has a completely sealed lid with a unique one piece gasket to prevent any surface water ingress. The white lid allows for well ID information to be recorded on the underside. A large 116mm opening gives plenty of room in the well head for hands & sampling equipment. Note: Nondo Safety Lifter shown in use with the 200D Nondo. 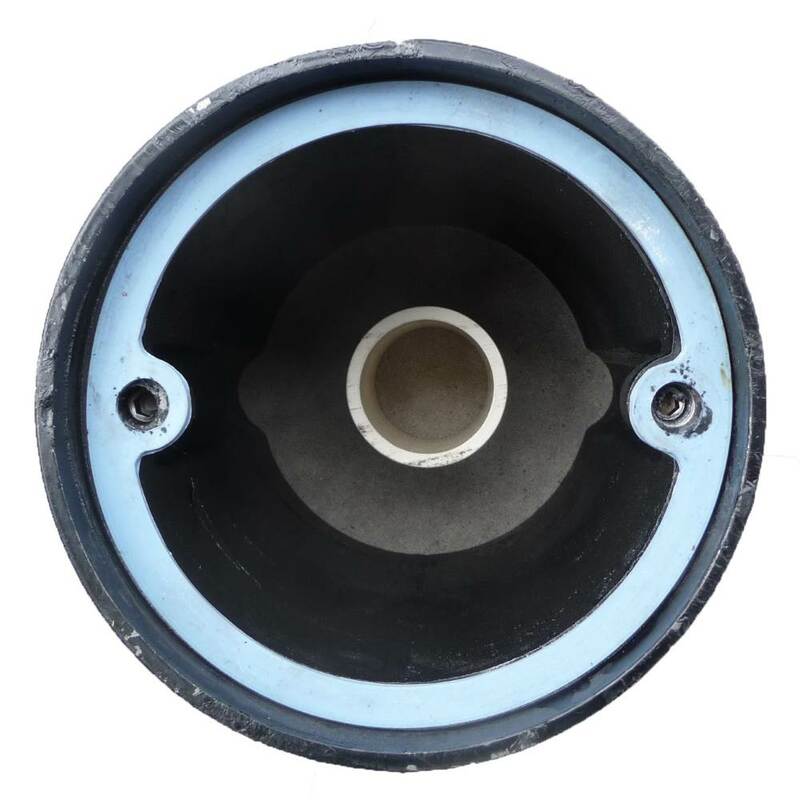 NondoCE180: CE180 Nondo Well Cover, 180mm OD, 146mm ID, all cast iron with cast iron skirt, AS3996 Class E load rating for traffic use. 2 bolts, with gasket to seal, uses 8mm hex.